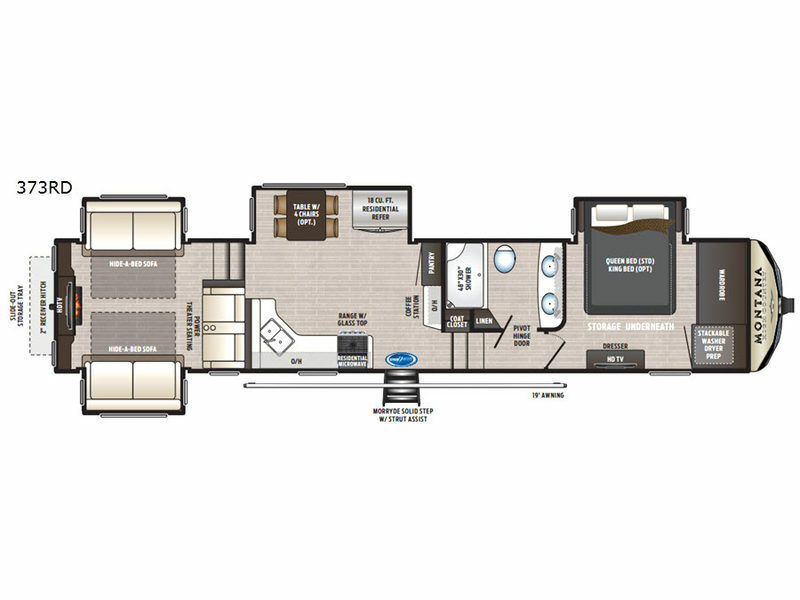 This Montana High Country fifth wheel will have you imagining all the places you will travel in comfort and luxury. Just imagine relaxing in the elevated rear living area while watching the HD LED TV above an electric fireplace. You can choose to relax on dual hide-a-bed sofa slide outs, or the power theater seats. 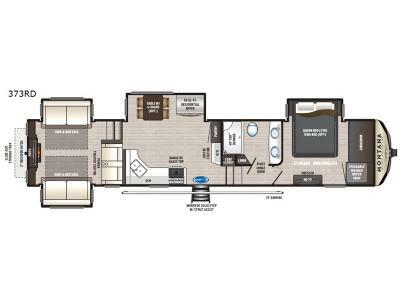 The separate kitchen area features a coffee station for the coffee lover in the family, a large pantry for your canned goods and snacks, a range with a glass top, and an 18 cu. ft. residential refrigerator, plus a residential microwave. 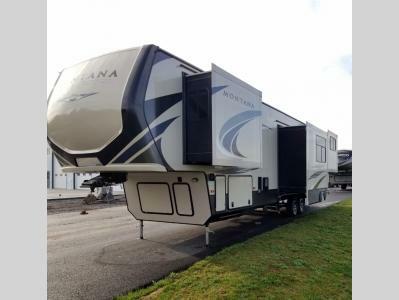 Outside you will find an outdoor living area under the awning once you place your camp chairs and mat down, and an exterior storage tray slide out allowing you to bring those larger items such as fishing poles, an outdoor table, and extra totes. Take a look, you will find more features you don't want to travel without!